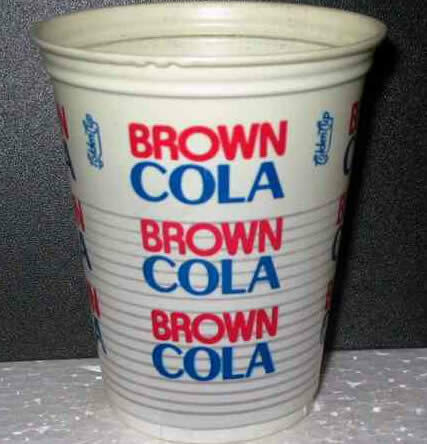 Los felicito por el blog, es tremendo, yo recuerdo los Tinoquitos y tomé bastante Brown COla en estos vasos jajajaja. Alguien bebió Grappette? y Dumbo? :grin: la verdad, si recordar esta epoca es señal de vejez, nos creemos jovenes por que asi nos sentimos, y la realidad es otra, pues bienvenida la vejez por que nuestra infancia en verdad fue feliz, gracias por existir, casi que todas las semana entro a este blog y mientras existan gente como nosotros, que este blog sirva para estar en contacto. recordar es vivir y cada vez me siento mas vivo. Laim!!!!!!!!! Por Diossssssssss!!!!!! Se me estrujó el cerebro!!!!!!! El Dumbo sigue saliendo, ahora lo fabrican en Cabudare, Edo. Lara. Yo trabajo en esa fábrica. Sí vale Grappette y Dumbo, tomé yo bastante. También ese refresco Brown Cola, de hecho creo que Aguasanta Erminy, sacó una cuña publicitaria. Y de el vaso donde salía el cantante Emmanuel, nunca lo pude guardar. Si!!! Dumbo tiene su tiempo y ahora es fabricado en Cabudare – Edo. Lara, por Grupo Terepaima. Este refresco es muy bueno y tiene variedad de sabores, se que esta la uva, limón, piña y la clásica Kolita, además esta en varias partes del país yo lo tome en Valencia, Maracaibo, Valera, Barquisimeto y claro en Caracas. En estos días coloque grupo terepaima en YOU TUBE y vi los comerciales de Dumbo además de otros producto de la misma empresa. Siempre recordare Dumbo… ahora que lo sacaron nuevamente donde lo veo lo compro. La uva tiene el mismo sabor de la Grapette ya que es de los mismos dueños. La Marbel era buena… pero ya no. La Grapette también la envasaba la Embotelladora Terepaima, pero bajo concesión de Coca-Cola. Esta embotelladora también hacía los refrescos Swing y Drink. Asimismo fabrica la King Cola. el vasito de brown cola era un clasico de la zona rental y otras ferias… y gracias a dios que no soy el único que se acuerda de LAIM!! asi como grapette (la de uva mi favorita) y muchas mas. Cuando la Embotelladora Terepaima fabricaba Grapette también envasaba paralelamente la Fanta, Sprite y Coca-Cola por cuestiones de derecho de marca. I’d have to clinch the deal with you on this. Which is not something I usually do! I love reading a post that will make people think. Also, thanks for allowing me to speak my mind! An impressive share, I just passed this onto a fellow worker who was doing a little research on this. And he in fact bought me lunch because I discovered it for him. smile. So let me reword that: Thnkx for the treat! But yeah Thank you for taking the time to discuss this, I feel strongly about it and enjoy reading more on this topic. If possible, as you gain expertise, would you mind updating your blog with more info? It is highly helpful for me. Two thumb up for this blog! An amazing blog post, I just given this onto a friend who was doing a little analysis on this. And he in fact bought me lunch because I discovered it for him.. smile.. So let me reword that: Thnkx for the treat! But yeah Thankx for spending the time to discuss this, I feel strongly about it and love learning more on this topic. If possible, as you gain expertise, would you mind updating your blog with more information? It is extremely helpful for me. Two thumb up for this share! shows view of the situation. knowledge, It is nice to see thoughts that revealing helpful in nature. one more fantastic. every day stuff like this explained so well I was doing, and this is just. You’re not the regular blog author, man. You definitely have something powerful to contribute to the web. Such a outstanding blog. I’ll come back again for more. Damn, very nice website. I came across this on Ask Jeeves, and I am happy that I did. I will definately be returning here more often. Wish I could add to the conversation and bring a bit more to the table, but am just reading as much info as I can at the moment. Took me time to read all the comments, however I definitely got a lot out of your posting. It turned out to be very useful to me and I am certain to all the commenters here! I find it to be quite great when you can not only be informed, but also entertained! I’m sure you had fun writing this article. I know I’m a bit late in contributing my thoughts but this specific post made me think. It was an absorbing blog submit. I’ve grow to be a regular reader of one’s internet site given that I came across your website a whilst again. I can not say that I agree with every thing you stated but it was emphatically enlightening! I will be back again again soon. Personally, I don’t agree with you regarding this….